As we have noted before, in order for the electric vehicle market to grow at the rates currently being predicted, the charging infrastructure will need to be an attractive proposition to consumers. We have already seen Fastned offer free, life-long charging for investors in their recharge stations. 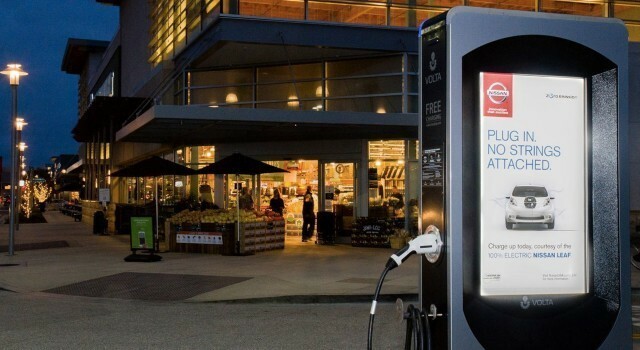 Now, Volta are proposing another means for users to get free recharges – by creating visible stations that can host advertising and sponsorship. 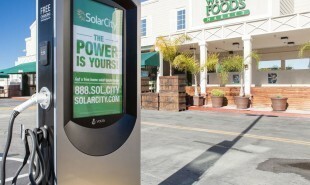 Volta recharge terminals offer EV drivers free charging at 110 sites in Hawaii, California and Phoenix, Arizona. Currently the stations are predominantly at shopping malls and centers sponsored by partners including Macy’s and Whole Foods Market, as well as a number of national real estate companies. Volta pay for installation, service and maintenance. The startup recently secured USD 7.5 million in new venture funding which will enable them to expand their operation at a fast pace, hopefully helping make EV a more appealing option. Are there other sites and partnerships which would suit Volta’s model?